I recently got a new pack of super sweet McCormick NEON food colors. Going beyond the standard primary green, blue, red, and yellow colors, this pack contains neon pink, electric blue, Shrek green, and bright purple. Eager to try them out, I came up with my own project. 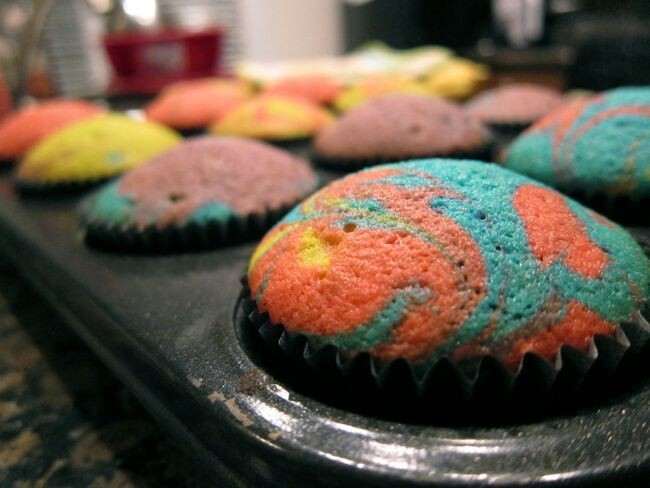 Psychedelic radical rainbow tie-dyed cupcakes! The colors make me happy. They are so vivid and fun. 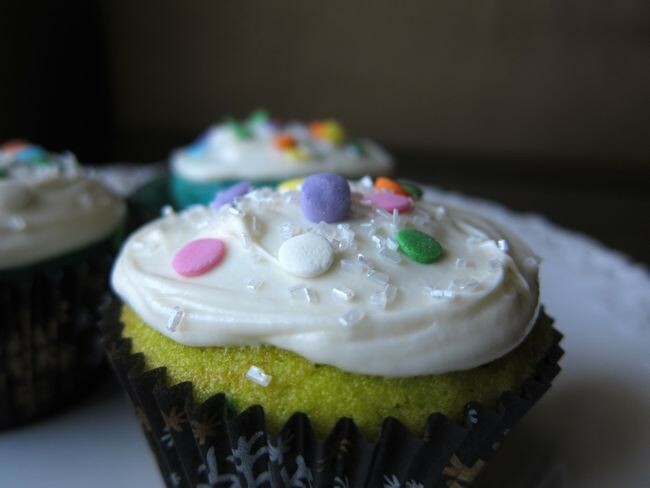 You can use your favorite yellow or white cupcake recipe to make these. 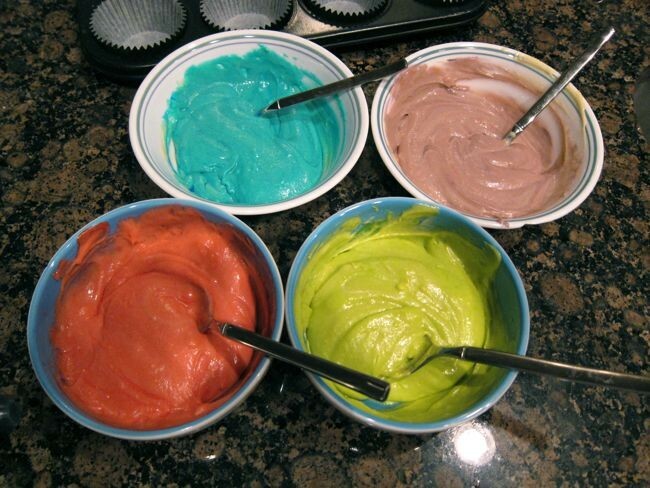 Just portion out the batter into four bowls, and dye each one a different color (I used 5+ drops of color for each to get the intensity I wanted.) 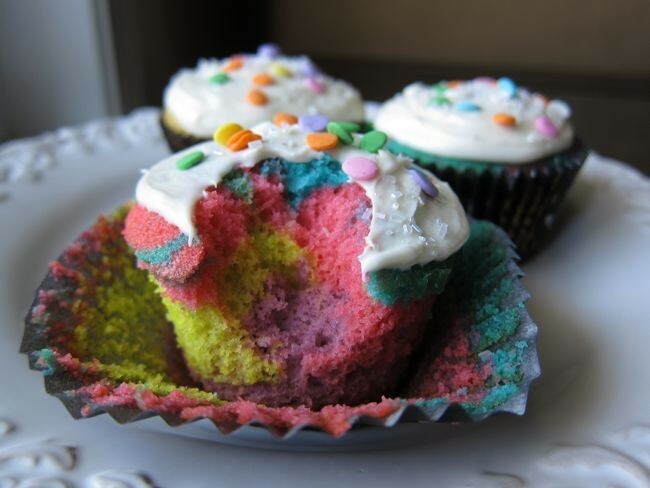 Carefully fold in the color  you don't want to over beat the batter or else you'll get tough cupcakes. 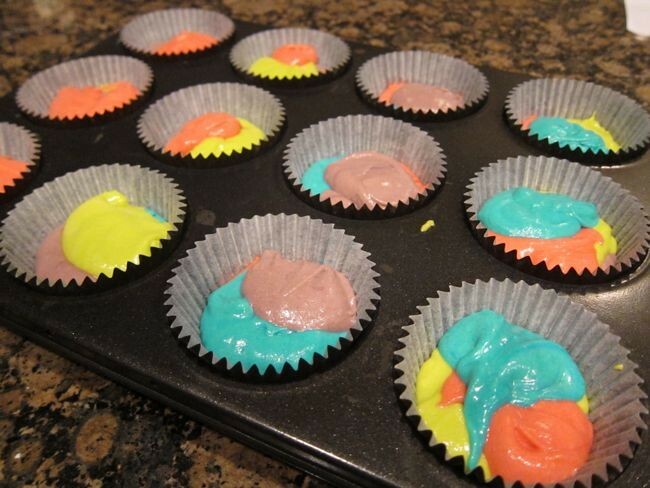 Once you have all your colored batters, layer them in blobs by the spoonful into the cupcake liners. Next, take a toothpick and gently swirl the batters together. Then throw them in the oven. 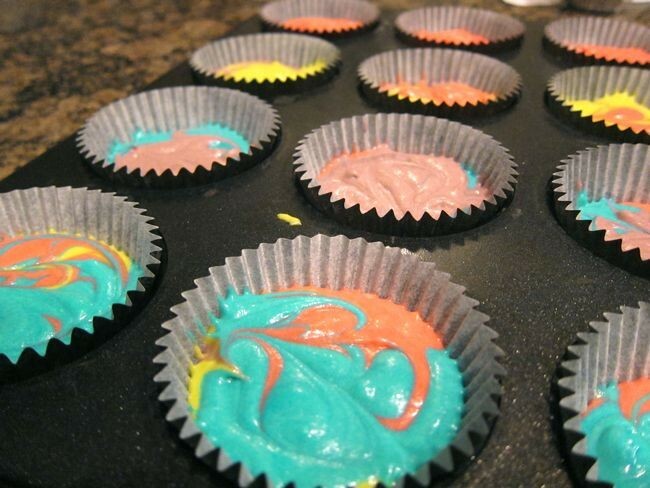 This is what you'll get once they are done baking. 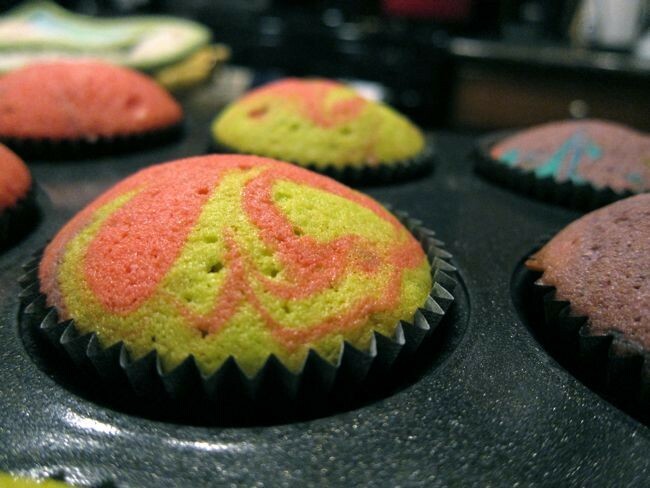 They are so fun-looking naked, it's almost a shame to cover the funky designs with frosting. Now, how funkedelic are these? I'm in love with the rainbow colors.